While many people may think the world of blogging is weird (putting your life out there for strangers to see and following the lives of people you've never met), I find it very entertaining. I absolutely love following blogs similar to mine, especially other bloggers who have kiddos around the same ages as Brantley and Holden. I don't watch much t.v. in my down time; instead you can usually find me catching up on social media, which includes all of my favorite blogs! I've connected with quite a few people through blogging, and though they may not be my real-life BFFs, I feel like many of them could be! Through blogging, I've also realized how small of a world this really is! For instance, I learned that one blogger I used to follow (Katie; she doesn't seem to blog anymore) is the cousin of a past student. Another (Ashley) was a sorority sister to my friend Lauren in Atlanta. Another (Sarah) used to live in Olathe and has all kinds of similarities to me, and yet another (Desiree) has both Kansas City and Iowa connections and we have a mutual acquaintance! And then there's Brittany. A local blogger whose blog I found in 2012, when we were both pregnant with our firsts--both boys and both due in July. I couldn't not follow her (due to the crazy amount of similarities) and one day I mustered up enough courage to comment on one of her posts. We've followed each other ever since, and in January, we met up for a play date! Weird? Maybe to outsiders, but to us, it was completely natural and normal! There's a whole other slew of blogs I love. One is Elizabeth at Chasin' Mason. She has a little boy who is just a couple of weeks younger than Brantley. 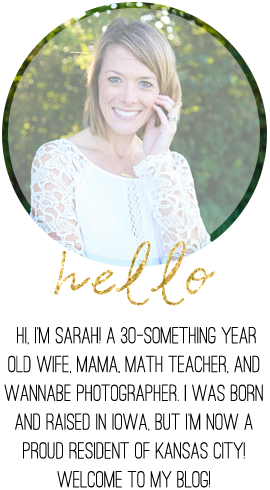 You may remember that I guest posted on her blog last spring about being a Boy Mom. Anyway, when Elizabeth announced a Boy Mom gift swap, I was in! The idea was that you'd be paired with another mom and her son(s) and the two of you would swap boy gifts. Again, a gift swap between bloggers that have never even met? Sounds a little weird, right? Perhaps...I'm pretty sure my husband thought so...but so fun too! I was paired with Rosemary and her sons Gabriel (4) and Rafael (2) at the blog Raising Bridges. We sent them some little kiddo card games (War, Skip Bo Jr., and I Spy) because we are game-lovers at this house! But because it was a boy-themed swap, I wrapped them as Legos! So cute, right?? We also included some "dirt and worms" (i.e. crushed Oreos and gummy worms) to top their favorite ice cream or pudding (which I didn't take a picture of). Thank you to Rosemary and her boys for the fun new toys! We hope you are have enjoyed a family game night or two, complete with dirt and worm sundaes! And for anyone interested, Elizabeth (and a few others) are now hosting a Mother's Day Mom Exchange. Just for moms! Because we deserve a gift every now and then, too! Check out her blog ASAP if you're interested in signing up! I think the deadline is tonight! Thanks Elizabeth for helping to organize these fun swaps! Oh my goodness, look how cute and excited they are! Mac loves getting mail from bloggers! These swaps are so much fun! I love your idea to include games - Mac is finally old enough, so I'm getting him a few games for Easter and I'm so excited about it! Ok, your Lego wrapping is absolutely adorable! How great that you have two sweet boys to enjoy such amazing goodies! 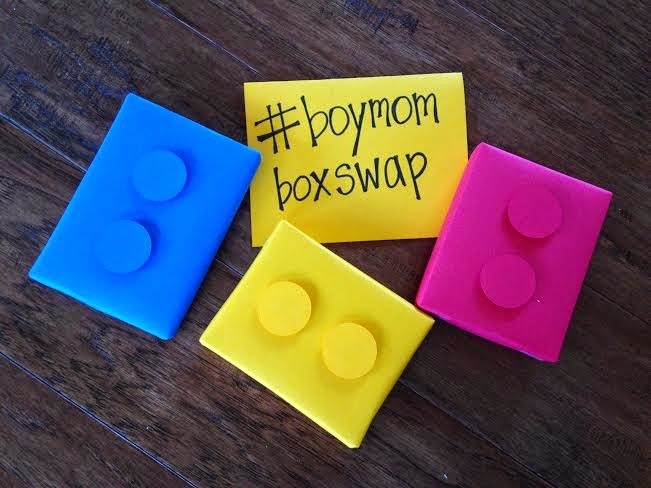 I really love doing box swaps and thank you for telling me about the Mother's Day swap! An Update...With a Few New House Pics!! Holden Beckett: 11 Months Old!